A brake drum/rotor is not meant to last forever. They wear down a little every time you step on the brake pedal. Most modern cars come with thinner rotors to save on weight. Due to their slimness, the rotors wear out faster. For this reason, it is advisable to have the rotors and brake drums resurfaced every time you are replacing the brake pads. Resurfacing is an economical alternative to replacing the rotors/drums with new ones. If your brake rotors/drums have sufficient metal remaining with no hard spots, cracks, severe grooving, or rusting, then resurfacing is a great option. For expert resurfacing services, call 360-855-0341 or visit Sedro-Woolley Auto Parts today. A common question among car owners who own a manual shift transmission and work on it themselves is "Who can turn my flywheel?". For all your flywheel turning needs, call 360-855-0341 or visit Sedro-Woolley Auto Parts today. Parts cleaning is essential to most machine works. For all your parts cleaning needs, call or visit Sedro-Woolley Auto Parts in Sedro Woolley, WA 98284 today. We have a machine shop that will handle this. A clunking or clicking sound from underneath your car may indicate a worn out universal joint (U joint). A worn U joint can be replaced easily by use of a press machine. First press one side, remove the cap and then press the other side in the same fashion. Although easy, most auto shops do not press U joints due to lack of the necessary machinery and expertise. At Sedro-Woolley Auto Parts's machine shop, we have the necessary press machines and qualified staff to press your car's U joints. At Sedro-Woolley Auto Parts's machine shop, we will handle all your wheel bearing needs with our high-tech press machines. 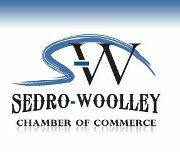 Call us at 360-855-0341 or visit us in Sedro Woolley, WA 98284 today.